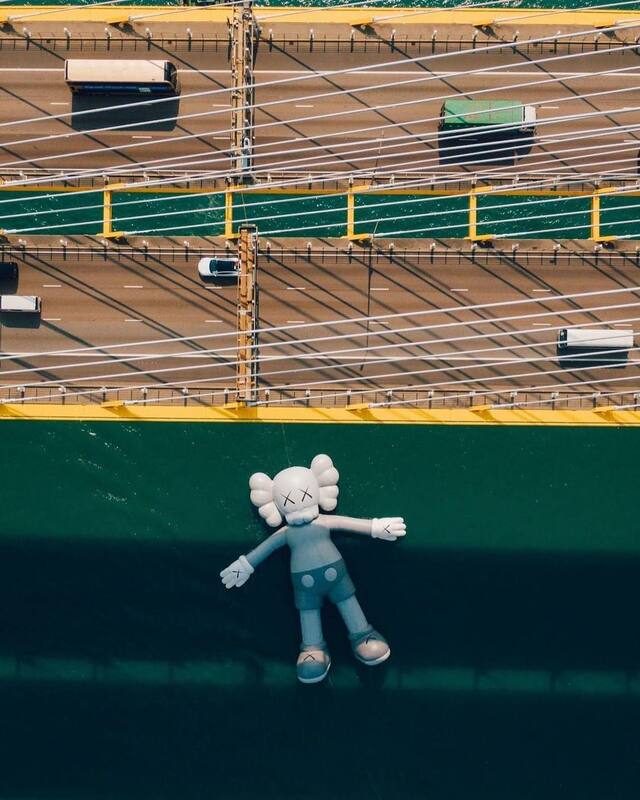 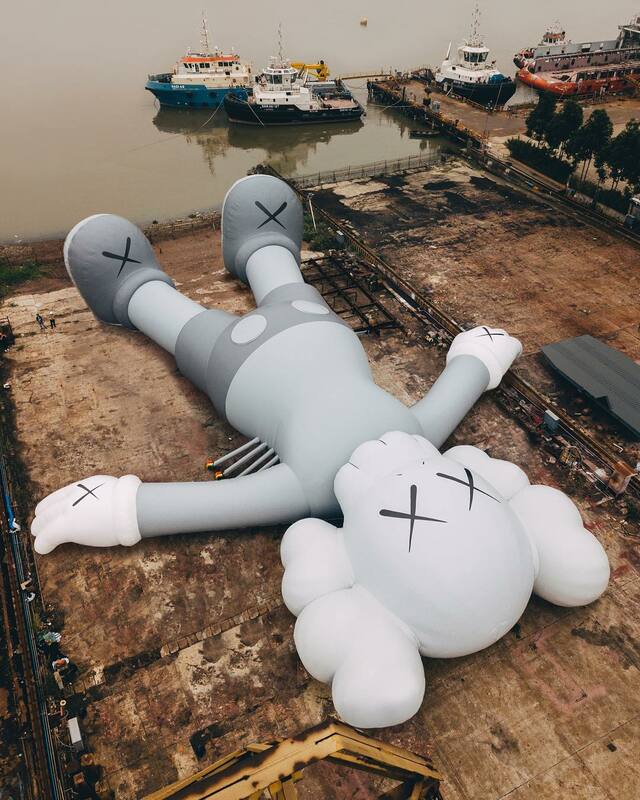 Continuing a project that has toured Asia starting last year in Korea (covered) which moved on to Taiwan (covered) earlier this year, KAWS will unveiling another large scale inflatable version of his Companion figure in Hong Kong on March 22nd. 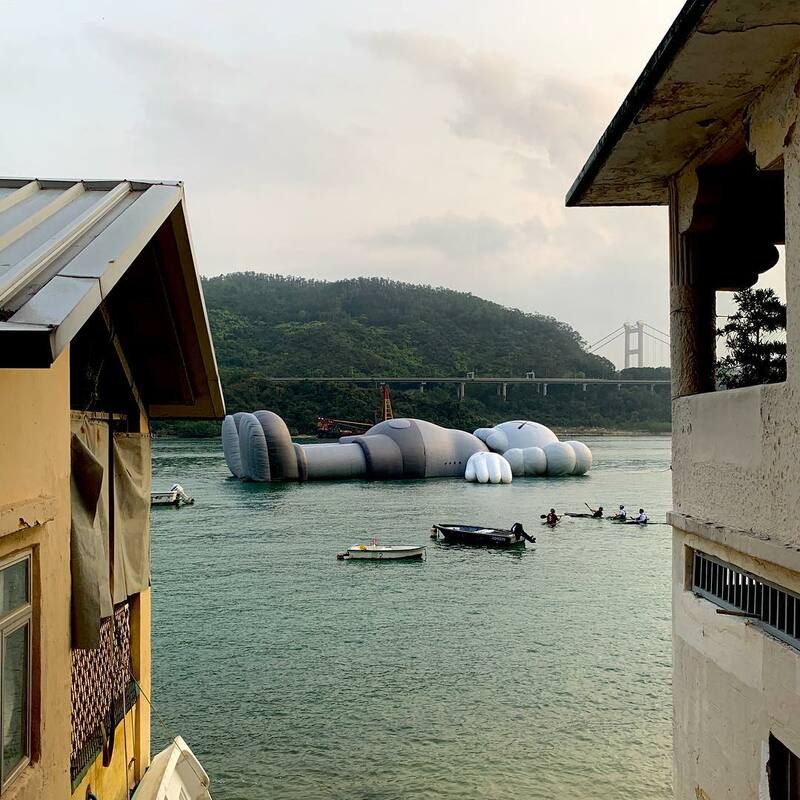 Fans in Chinese metropolis have been eagerly awaiting his next public project since they were introduced to the Brooklyn-based artist’s work back in 2014 with an installation at Harbour City (covered). 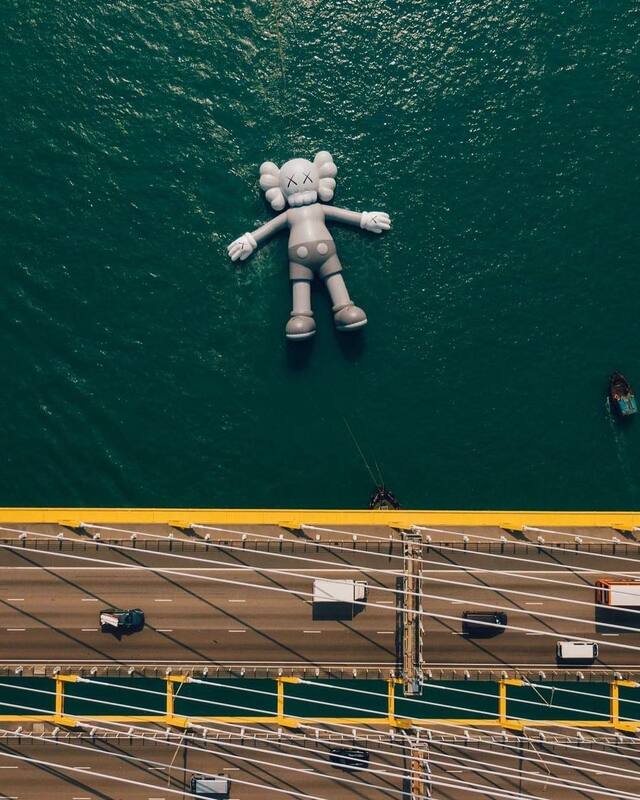 They will get their chance for more tomorrow at 2:15 pm looking out at Victoria Harbour and the iconic skyline of Hong Kong Island from the Central and Western District Promenade as the 92-foot-long (28 meters) floating HOLIDAY version of his signature character finally arrives. 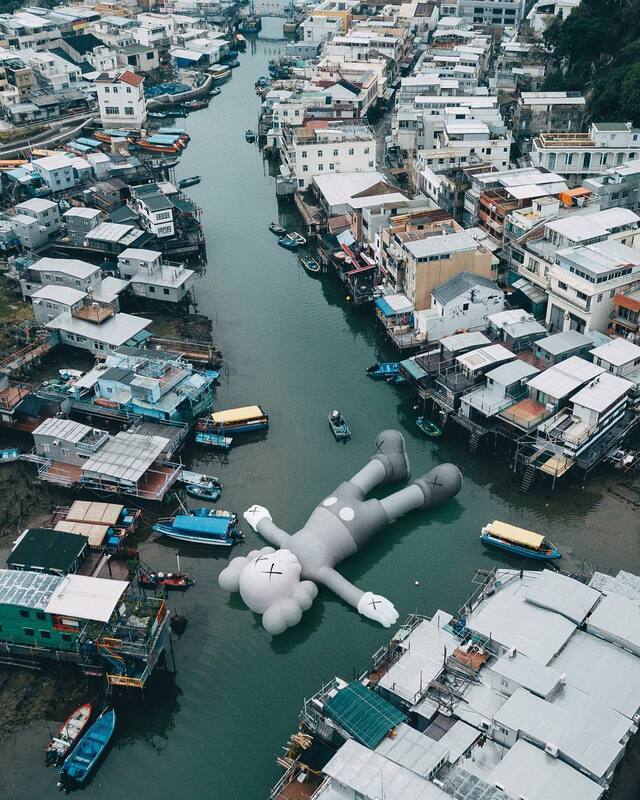 The event presented with the help of AllRightsReserved will be unveiled just in time for Art Basel Week Hong Kong with associated merch and show at HOCA (more on that soon). 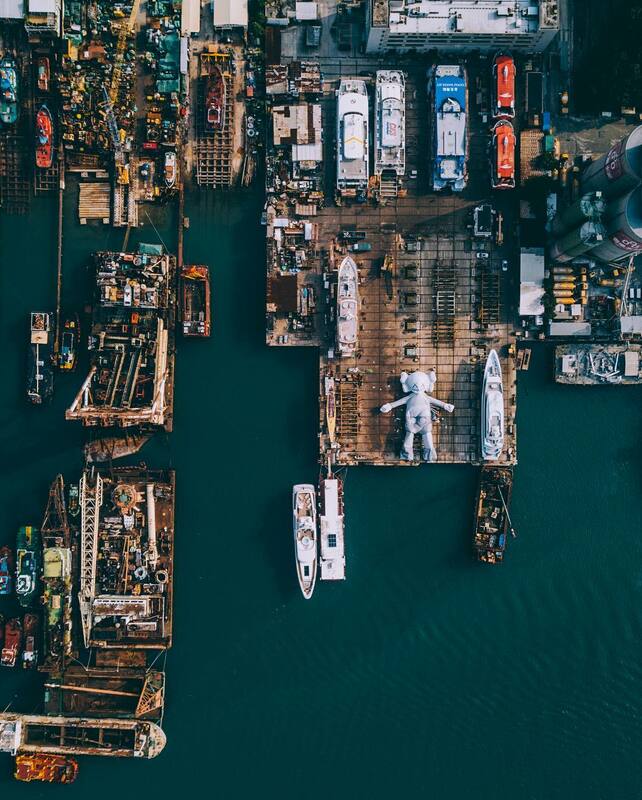 Photo credit: @harimaoleeharimaolee, @nk7, and @matfeel (via the artist). 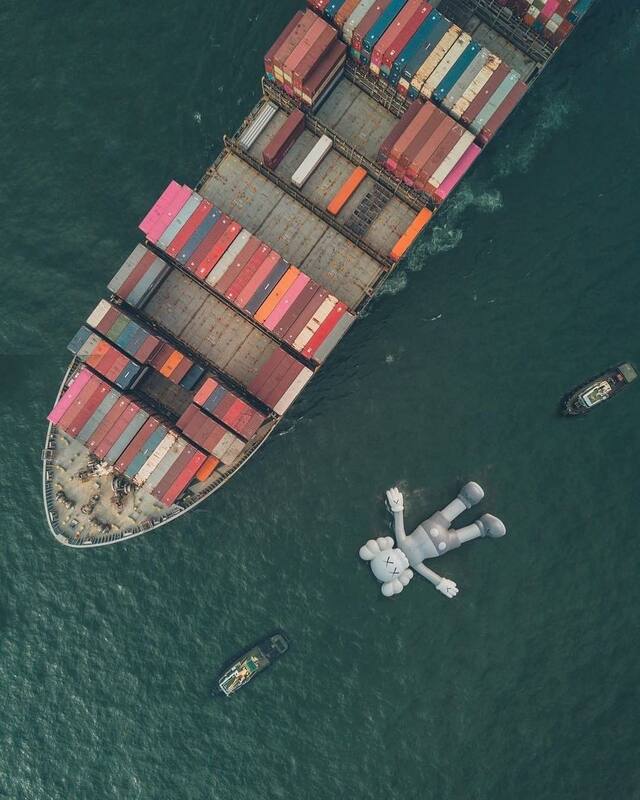 Categories: Contemporary Art, Installation, Sculpture, Shows & Events, Street & Urban Art. 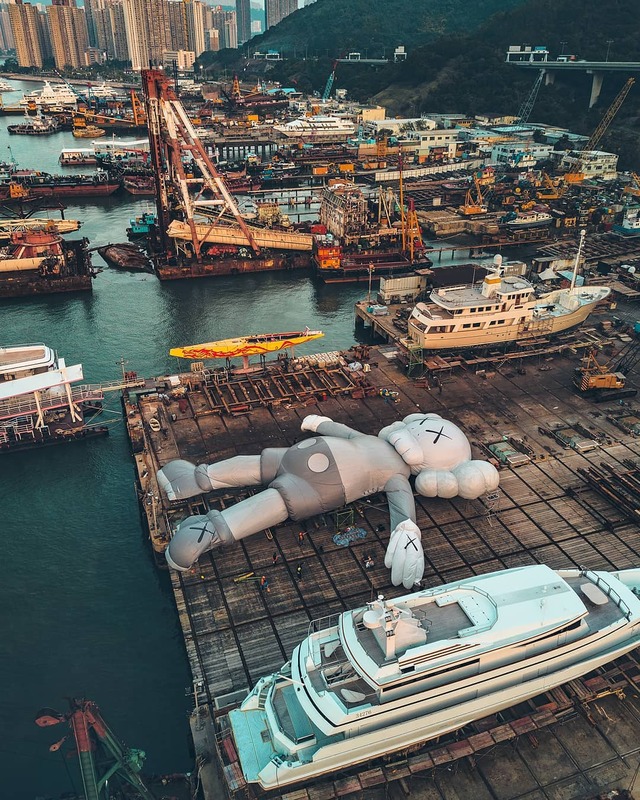 Tags: Art Basel Week Hong Kong 2019, Contemporary Art, featured, Hong Kong, Installation, Kaws, Shows & Events, slider-featured, Street & Urban Art.